Before achieving success with their respective bands, Kurt Cobain and Screaming Tree's Mark Lanegan joined forces to cover the great blues artist Leadbelly. The band, which they named ‘The Jury’ became the side project of both musicians but sadly only lasted a handful of songs. 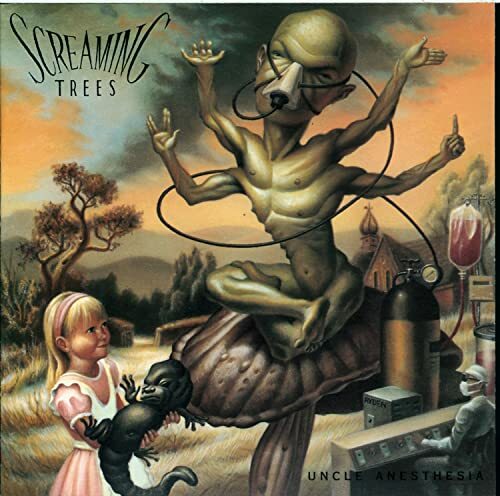 Apart of the 90's grunge movement, Seattle based band Screaming Trees. This album was produced by Soundgarden's Chris Cornell and metal specialist Terry Date. This is also the last album to feature original drummer Mark Pickerel. In 1983, more than 100 miles from Seattle in the Eastern Washington town of Ellensburg, a group of high school students started a band and named it Screaming Trees. From that band the Northwest music scene gained Barrett Martin (Tuatra, Mad Season), Mark Pickerel (Mark Pickerel and His Praying Hands), and Mark Lanegan (Queens of the Stone Age, Gutter Twins, Soulsavers).